On Monday, guests including UAL Vice Chancellor Nigel Carrington and Leader of Southwark Council Peter John OBE gathered to celebrate a key moment in the building development currently taking place at Camberwell College of Arts. The ‘topping out’ ceremony marked the development reaching its highest point, and was held on the roof of the new accommodation block which, when complete, will provide halls of residence for 264 students. Guests were also given a tour of the ground floor and basement of the new academic building where a new lecture theatre for the college will be housed. 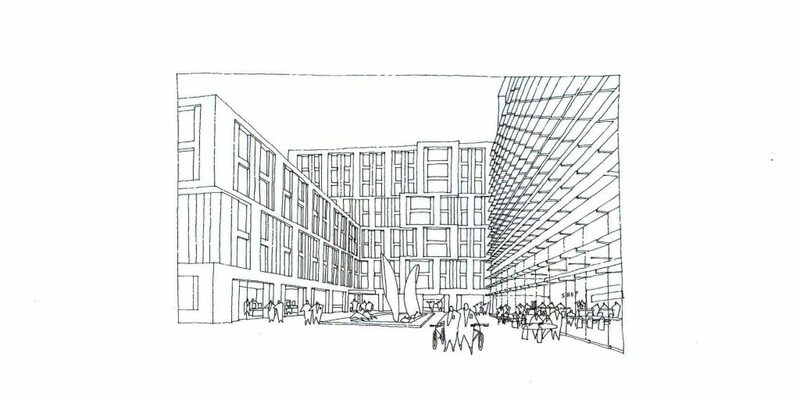 Artist’s impression of a view of the new accommodation block, courtesy of the developers Hollybrook. Work on the new development, the first major work on the college for a generation, will be a major upgrade of the facilities and create a cohesive campus at Camberwell’s Peckham Road site. It began in summer 2015 and will enlarge the existing 1969 building creating a new academic extension which will house a 262-seater lecture theatre, studios and library, alongside the brand new UAL student accommodation which will further enhance the campus feel. There will also be major alterations to the front façade of the building entrance and reception on Peckham Road, making the building accessible, as well as a new gallery and courtyard area. The work is due for completion and ready to accept students at the start of the academic year in 2017. Artist’s impression of the new courtyard that will be created as part of the building development work at the college. 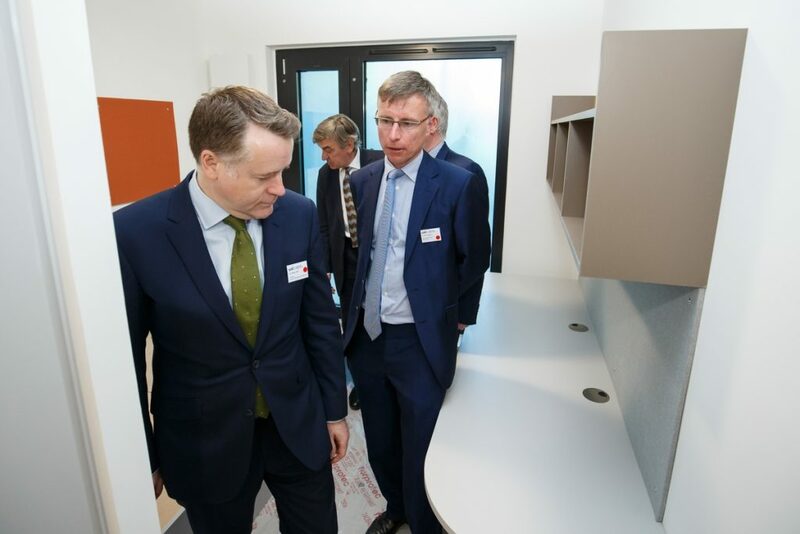 Leader of Southwark Council, Pete John OBE and Justin Elcombe, Managing Director of developers Hollybrook, explore a room in the new student accommodation block at Camberwell. 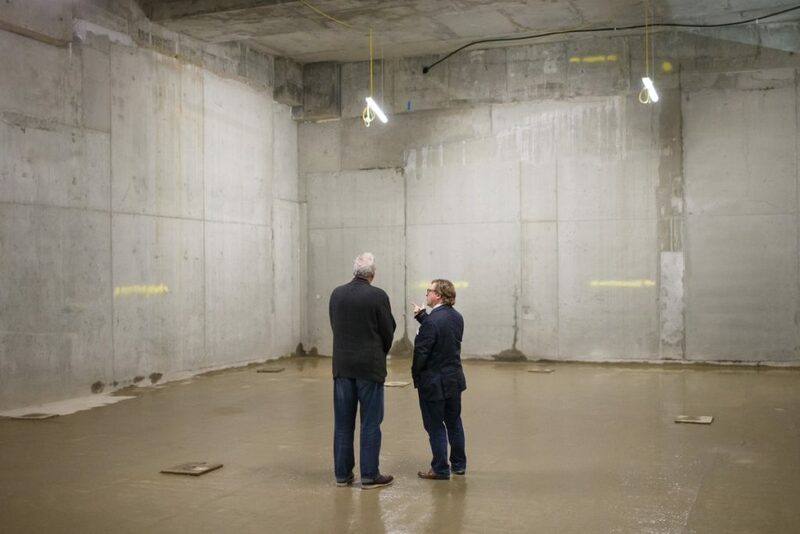 Pro Vice-Chancellor and Head of Camberwell, Chelsea and Wimbledon Chris Wainwright and Dean of Camberwell, Nick Gorse, admire the basement space that will house the new 262-seat lecture theatre for Camberwell. Read more about the new buildings on the college website. Read the UAL news story about the event on the news blog. Find out more about the Camberwell development and see the work of our graduation students at our Summer Shows 2016.